With authorities have suddenly solved the case of a member of the U.S. military (really a saboteur killed by Solo), the U.N.C.L.E. agent quickly flies back to Iowa from New York. Solo resumes his cover as the man’s brother. He’s with authorities who are showing him where a bookie died, supposedly while smoking in bed, which caught on fire. The authorities are ready to declare the case solved. Solo, though, acts indignantly and comments harshly to a newspaperman witnessing the scene. 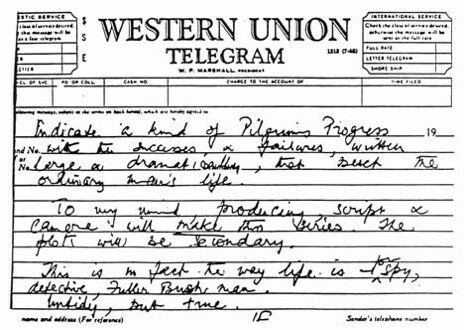 The pages for this scene are dated May 29, 1964, two days later than the date on the cover page. In this scene, the name Blair (the name assumed by the saboteur as well as Solo) has been changed to Blenman instead of Blair. The broadcast version would go with Blenman. Solo returns to the hotel. The same scrub woman who saw him earlier when the agent had been shown the saboteur’s body by authorities. She tells him she’s just turned down the bed. After she leaves, the scrub woman goes to a pay telephone and makes a call. She tells “Hod” (presumably her supervisor in this operation) that “the little do-hickey is in the shower head.” It will make it look as if Solo died of a heart attack. Solo, in the meantime, is radioing back to New York and gets in touch with U.N.C.L.E. chief Alexander Waverly. He provides his superior an update. I trust you were appropriately indignant. Yes, sir. Particularly to the newspapers. Very well. I needn’t remind you that you are inviting an attempt on your life. Report any such attempt immediately. Yes, sir. Unless it’s successful. In the final version, Waverly’s line becomes, “Report any such attempts immediately — unless they’re successful.” Solo replies, “Yes, sir,” before doing a double take at Waverly’s remark. Shortly thereafter, Solo prepares to take a shower, wearing a robe and slippers. The “little do-hickey” in the shower head begins to emit gas. The door knob to the bathroom has been tampered with and Solo can’t get out. But using his wits, He wrap “an aerated bomb of shaving lather” in a towel. He then lights the towel and pours rubbing alcohol over it. 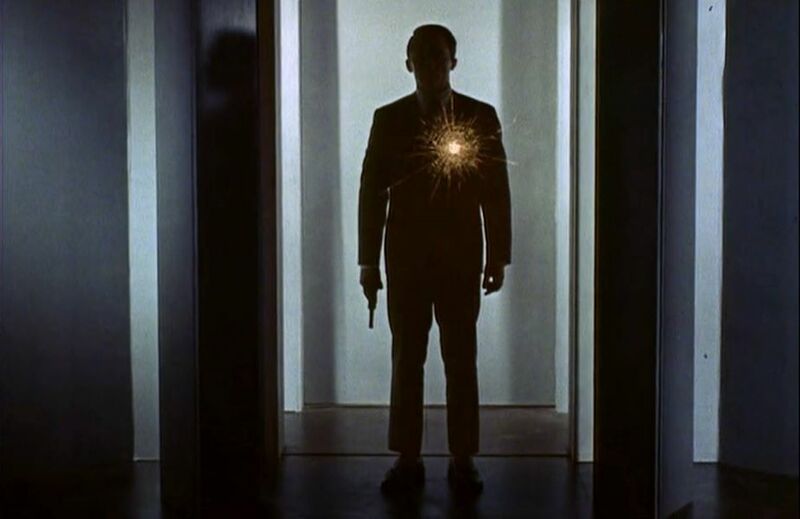 The agent moves away as far as he can before it explodes which kicks the door open. Having established the threat that Solo faces, Harold Jack Bloom’s script calls for Jill Denison, the episode’s “innocent” to knock on the door to Solo’s hotel room. He opens the door to reveal Jill. She is somewhat intimidated to find him in his robe, but tries to carry it off. No, no. It’s all right. Come in. She does, delicately aware of the door closing behind her. But then she reacts to the unhinged bathroom door. He moves to her side, aware of her curiosity. The agent sends Jill to the hotel lobby while he changes. As he gets ready to leave, he turns off the light. But he gets his camera and takes an instant picture of the dark windows across the alley. in Solo’s hands. The photograph shows a fleshy, middle-aged woman dressed in the black lace-and tiara fashion of Spanish aristocracy. And she is smoking a cigar. What follows is mostly like the finished episode. Solo and Jill drive into the country. But Jill’s vehicle is low on gasoline — even though she filled it up that afternoon. They’re being followed by a car with its lights out. Solo and Jill eventually reach a grain silo. They go in, ride up an elevator and hide in the grain. But Solo also sends the elevator back down because their pursuers will know for sure their quarries are inside if the elevator isn’t on the ground floor. Solo finally tells Jill who he really is and he’s an agent for U.N.C.L.E. The assassins do come up the elevator but Solo and Jill successfully wait them out. After the killers leave, Jill gets another shock. The body of the real Tom Blenman/Blair is buried in the grain. Jill feints in Solo’s arms in the script, but it would be staged slightly differently by director Richard Donner in the televised version. After Jill recovers, the pair exit the silo. Jill suggests they go to Clint Spinner’s place which isn’t far away. “He’d help us,” she says. Suffice to say, Spinner isn’t the country bumpkin he seems. 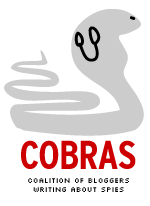 He parts of a conspiracy that intends to take over a South American country. The mysterious cigar-smoking woman has a brother who will seize power. Spinner’s well is actually a subterranean series of tunnels, some of which are underwater. The conspirators are going to break into the Air Force chamber that houses the “catapult” plane (equipped with an H-bomb) which will be used to exterminate the current South American government. The script, however, gives the principals more lines than the final TV version. Spinner, in particular, gets to be more evil than he’d appear on television. Yes. Some friends of mine are standing ready to take over a particular government. I call them friends because once the present government is blown out of existence, my friends and I will merely walk in and take over. While the rest of the world watches? “The rest of the world” has developed a talent for just watching. Once the strong and the smart take what they want, the “rest of the world” says that was naughty, but we won’t make a fuss if you promise not to do it again. And your phony promise is your talent. I clawed my way up from a dirt farm learning that human nature is fear and greed, not the milk of human kindness. A powerful lesson, and a lesson in power. Solo foils the plot, saves Jill and personnel from the Air Force base help clean things up. At the end of Act IV, Solo is with Jill at the farm house where she lives. She says she may visit Solo in New York. They nearly kiss when Aunt Martha “stands in an open doorway, watching with a jaundiced eye.” Solo merely kisses Jill on the top of her nose and leaves. You should have slapped his face! Why? He only kissed me on the tip of my nose. Call that a kiss? I certainly hope he can do better than that when you visit him in New York. Aunt Martha goes about her business. HOLD on Jill’s reaction. 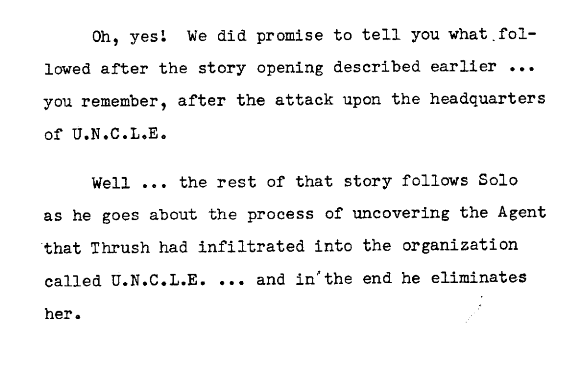 NOT QUITE THE END: In a Nov. 24 post, the blog wrote about early U.N.C.L.E. 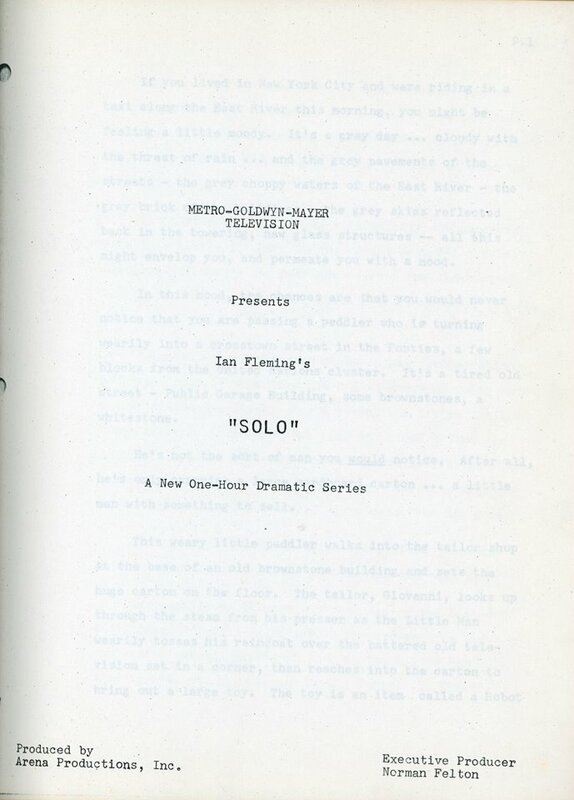 scripts had introductions where Solo broke the fourth wall. The Iowa-Scuba Affair was one of those episodes. The script also had an epilogue/next week previews that also broke the fourth wall. Well, we made it this time, didn’t we? Look interesting? It will be. See you next week. 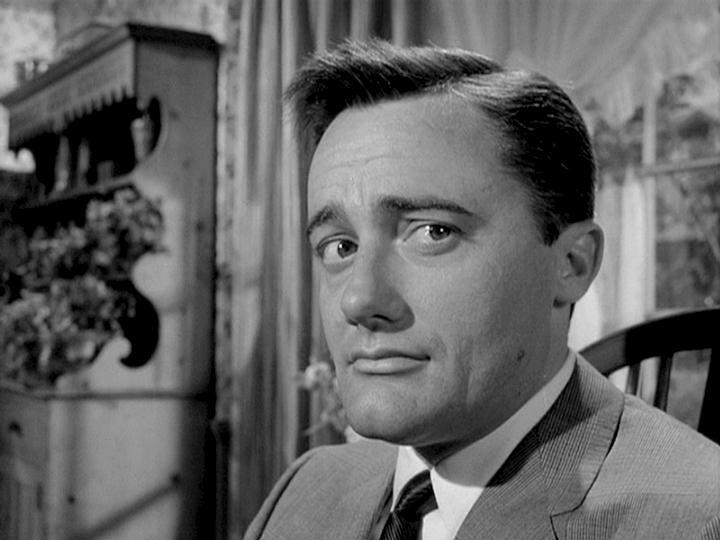 Robert Vaughn as Napoleon Solo in the early moments of Act I of The Iowa-Scuba Affair. Having sold Solo (now-renamed The Man From U.N.C.L.E.) 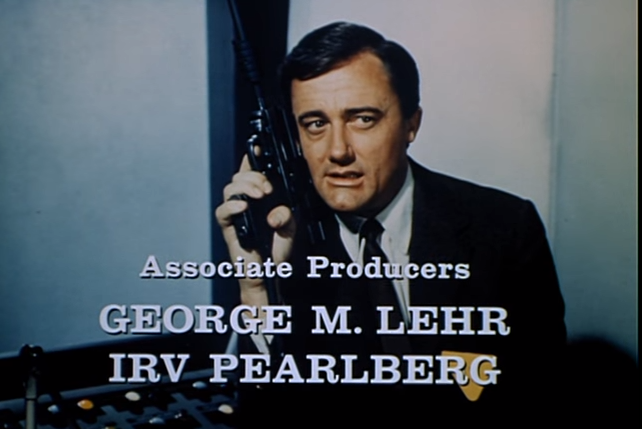 as a series, it was now up to executive producer Norman Felton to get the series underway. 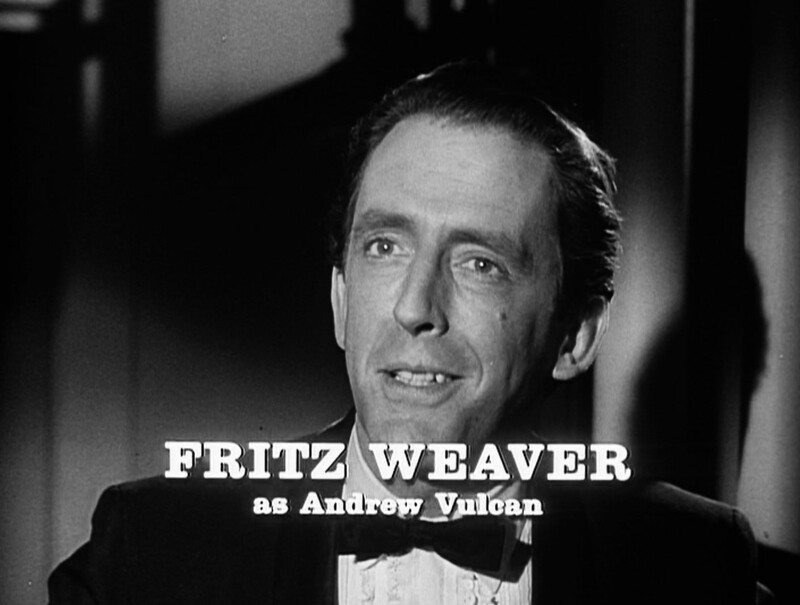 In place as day-to-day producer was Sam Rolfe, who wrote the series proposal for “Ian Fleming’s Solo” as well as the pilot script and its expanded movie version To Trap a Spy. The critical first post-pilot script would be penned by Harold Jack Bloom. Rolfe and Bloom co-wrote the 1953 western film The Naked Spur. They were nominated for an Oscar for their efforts on that movie. 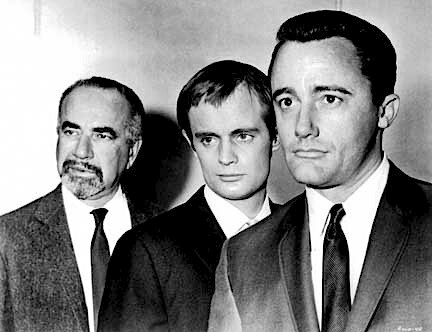 Bloom would also be the first writer employed on the 1967 James Bond film You Only Live Twice. He’d receive an “additional story material” credit for the 007 movie. 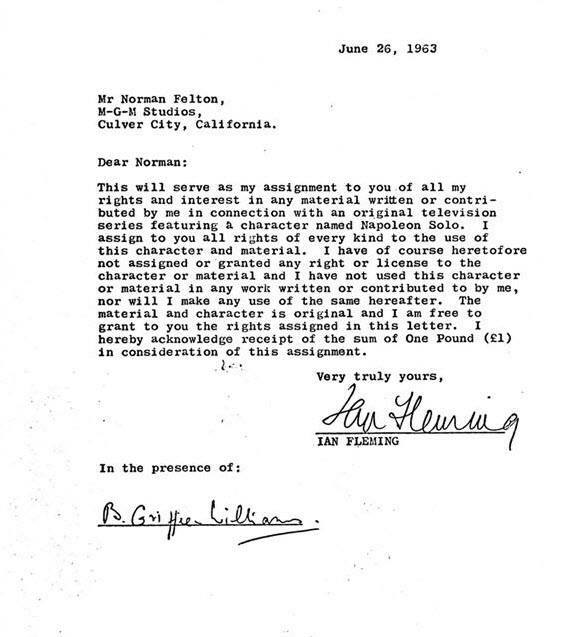 The copy the blog has of the script is dated May 27, 1964, just a few days before filming would begin on June 1, with Richard Donner directing. Some pages are dated as late as June 4, after filming had begun. Just inside the door JILL DENNISON, nineteen, eyes closed dreamily, is wrapped in the arms of TOMMY BLAIR, twenty-seven, a uniformed non-com in the Air Force. But then her defenses become alerted to his rising passion. He stops, moving his head back to meet her eyes. A heavy sigh seems to restore his self-control. She nods. He gives up and grins. This wins him a final peck before he exits. However, after the final “peck,” things are about to take a bad turn for Tommy. He drives off on a motorcycle. As Tommy comes out of the turn, he reacts to something he sees ahead, o.s. 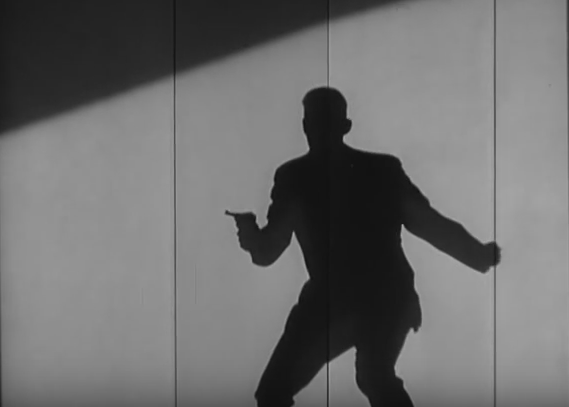 CAMERA MOVES ALONG ROAD APPROACHING the silhouette of a man who stands in the center of the road. The cycle’s headlights stop short of the man’s legs. Tommy has stopped. Bends forward to raise his headlight. The light picks up Solo standing in the road, his gun held, assembled for automatic fire. 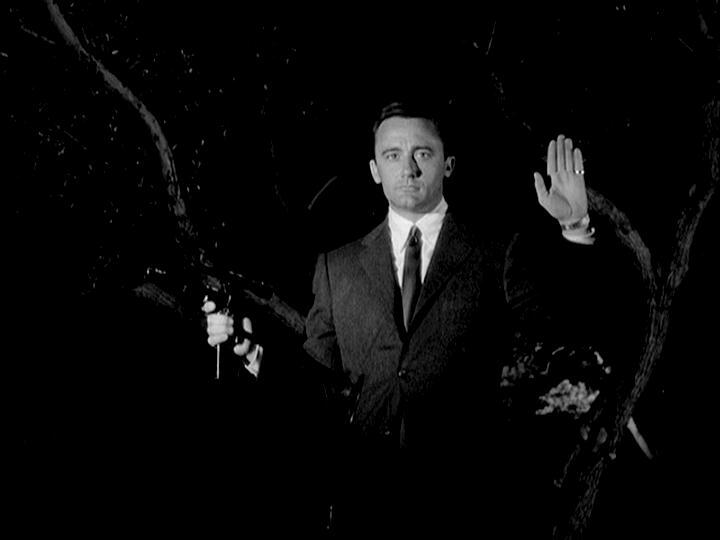 He holds his free hand up in a gesture of “halt”. ZOOM INTO CLOSE. Tommy reacts. His boyishness is gone now, replaced by an ugly intent. He kicks the motorcycle into full speed and it jerks forward. Solo FIRES. 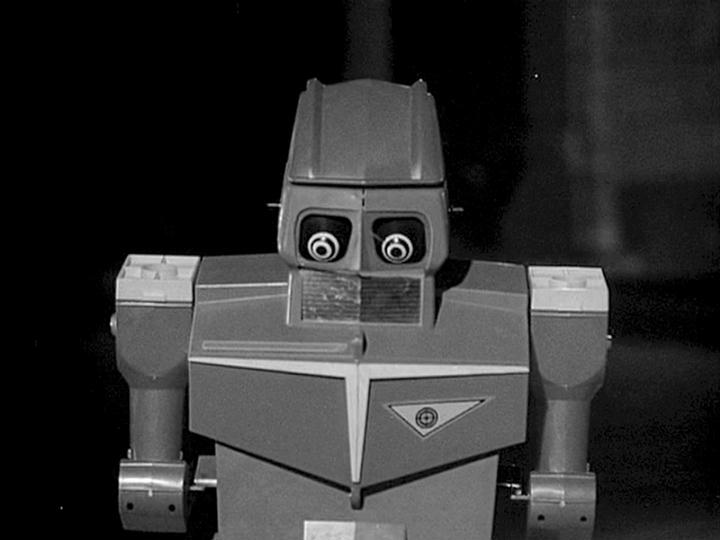 The shots go through the cycle’s plastic windshield behind which Tommy is crouched. Solo somersaults at the last moment to avoid the swerving machine. The cycle swerves past, skidding over on one side to dig its own halt. 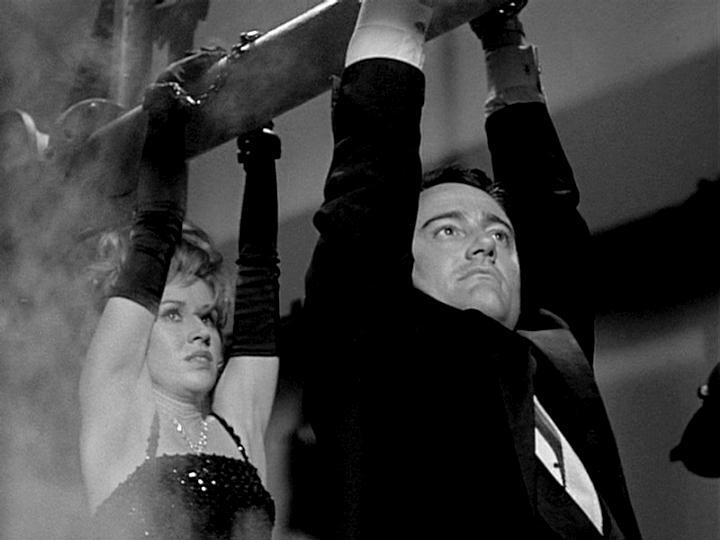 The scene in the final version wasn’t quite as dramatic (Robert Vaughn’s Solo didn’t somersault) but it’s pretty much what Bloom wrote. In the next scene, Solo poses as the dead man’s brother. He acts outraged when the local authorities have no clues who killed him. The only lead Solo has is Jill, the young woman that Tommy was with just before Solo killed him. 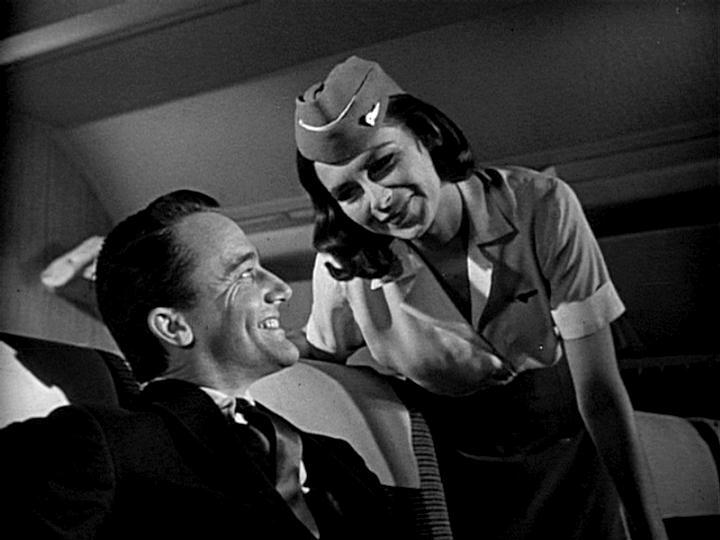 As the agent leaves, he passes “an elderly SCRUBWOMAN” who radios the information to someone named “Hod.” She indicates no harm should come to the stranger yet. Solo then visits Jill. They’re being observed by “AUNT MARTHA, a hawk-faced spinster in her mid-forties.” She is “doing needlepoint with quick, angry thrusts.” Jill, meanwhile, is telling Solo that she and Tommy “weren’t in love or anything.” It quickly becomes clear Aunt Martha wasn’t happy with Jill dating Tommy. During the conversation, there’s another visitor: “CLINT SPINNER, a tall, raw-boned man in his early fifties.” It turns out Spinner’s father was a “sharecropper” in the area. He’s purchased land nearby after being a successful oil man. Spinner has dug a deep well to benefit his new farm. As the scene concludes, Solo asks Jill about why Tommy would have scuba gear. The question surprises Jill. Tommy said he couldn’t swim. 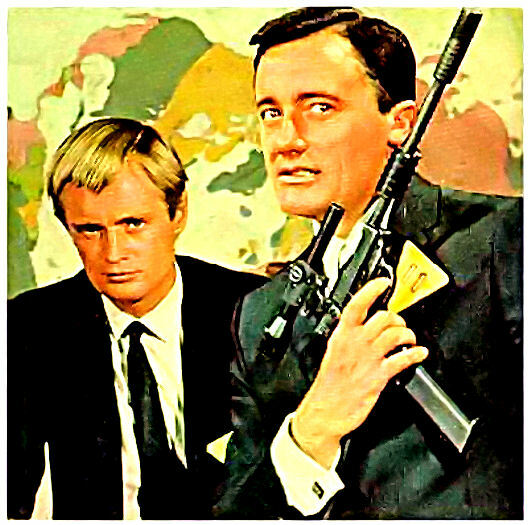 It turns out the entire scene has been observed at a distance by three people in scuba outfits including “an exotic Spanish woman.” The other two are men who hold “strange looking rifles.” One begins to aim his weapon but the woman “gently” pushes the barrel of the rifle down. Solo then returns to New York and U.N.C.L.E. headquarters. He confers with Alexander Waverly. It turns out Tommy was really Eric Freedlander, a saboteur. Solo had been on his trail. Freedlander slipped away in Berlin but then showed up in Iowa, the site of the secret base. There was a real Tommy Blair but he is missing. 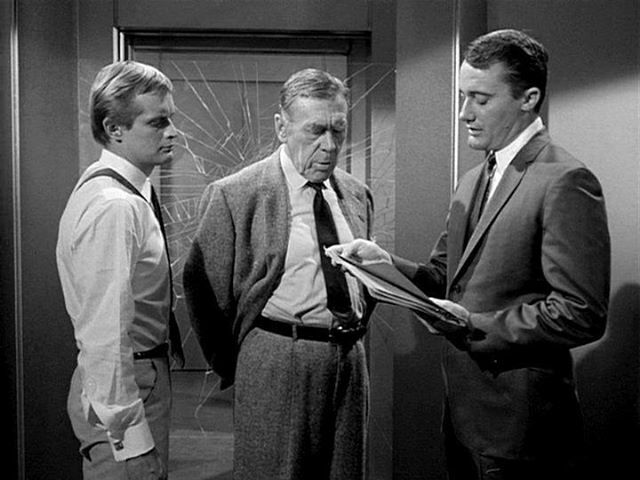 What follows is a briefing scene which provides more details for the audience. We’re told more about the plane and its capabilities. In the middle of the briefing, Waverly is told that the authorities in Iowa have released a statement they’ve found the murderer of Thomas Blair.